Shiny pink glitter lips pattern isolated on white. Women`s shoes and red lips. Seamless joking pattern on white background. Hand drawing objects . Human and nature . Element of seamless pattern. 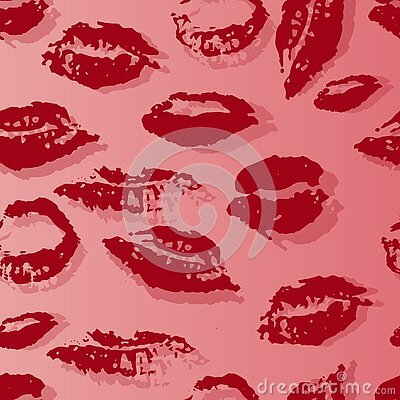 Seamless pattern with red graphic lips on white background. Modern trendy minimalism style.